TVB’s The Defected <鐵探> starring Kara Wai (惠英紅), Benjamin Yuen (袁偉豪), Philip Keung (姜皓文), Ben Wong (黃智賢), and Benz Hui (許紹雄) was three years in the making, created by writers who helped build characters like Laughing Gor (played by Michael Tse 謝天華) and Foon-hei Gor (played by Benz Hui) to cultural acclaim. 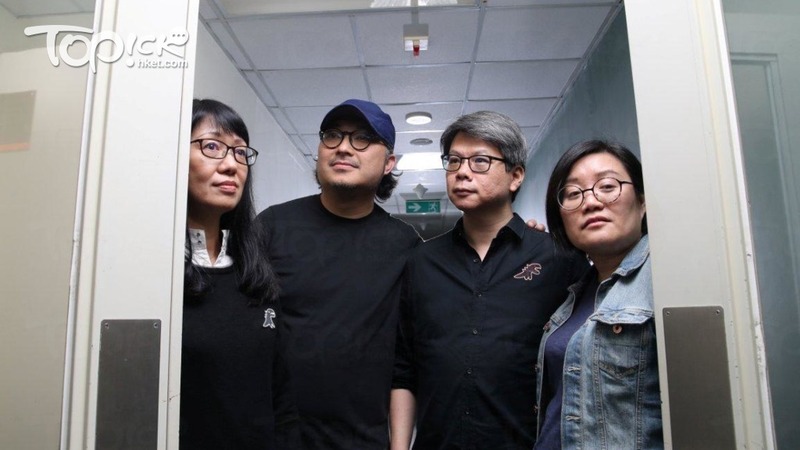 For The Defected, producer and director So Man-chung (蘇萬聰) once again teamed up with his Line Walker: The Prelude <使徒行者2> writer Chu Kang-ki (朱鏡祺), and together with their frequent collaborators Carmen So (蘇嘉敏) and Lau Siu-kwan (劉小群), they created The Defected, a political thriller about the internal power struggles between members of the police force. The Defected follows Inspector Sheung San (played by Benjamin Yuen), a rising star in the police force, who survives a nearly-fatal shot in the head after attempting to save a fellow officer. 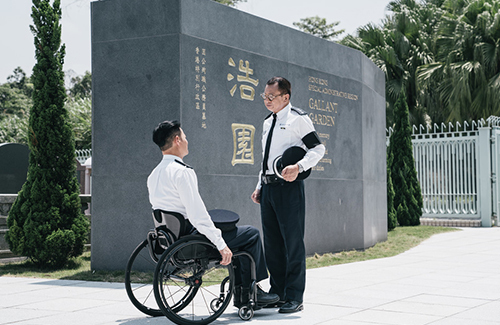 Despite his miraculous recovery, Sheung San suffers from severe PTSD due to the incident. The man who shot him was Bingo (played by Philip Keung), an undercover sent out by Chief Superintendent Man Hei-wah (played by Kara Wai), who vies to become Hong Kong’s first female Commissioner of Police. Feeling ashamed and remorseful for having shot Sheung San, Bingo defies his handler’s orders to help Sheung San as his informant. Meanwhile, Man Hei-wah is in a powerful struggle against Chief Superintendent Kan Kwok-Chu (played by Benz Hui), while C&IIB Chief Superintendent Samuel Ching (played by Ben Wong) tries to prevent their power struggle from disintegrating the police force. 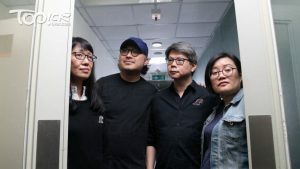 The script and background of The Defected was inspired by 90’s era Hong Kong cop films and TV dramas—the theme is no longer about showing the grayness, the corruption, or the muddled relationships between cop and criminal, but it is about showing humanity. The Defected features brand new partnerships, breathing a breath of fresh air into Hong Kong television. So Man-chung said he utilized a production style that emulates American television dramas and films. He did not start the casting until after all 30 episodes were written down on script, and used the ARRI AMIRA camera to film. Kara Wai was the first choice to play Chief Superintendent Man Hei-wah. Lau Siu-kwan immediately reached out to her after watching Kara’s performance in 2017’s The Bold, The Corrupt And The Beautiful <血觀音>. Man Hei-wah is an ambitious woman who vies to become the first female Commissioner of Police since the force was established 175 years ago. Man Hei-wah has to be played by an actress with considerable stage presence and charisma. She has to be the leader to the rest of the cast. To bring up the overall production value and capture the true essence of the city, it is important to shoot the drama on location than at a studio. The production crew chose Mongkok—one of Hong Kong’s busiest districts—for many scenes, hoping to capture the hectic and complicated pace of life in the city. The Gallant Garden, where many heroic civil servants were laid to rest, plays a huge role in The Defected. The garden represents the spirit of the Hong Kong people, how despite all challenges, strength and valiance remains. The Gallant Garden makes nearly 1,000 appearances throughout the drama. The Defected premiered in Hong Kong on April 1.
haven’t watched the drama yet but sounds pretty promising given the cast, decent trailer, and raves about the show. hope this one doesn’t disappoint. tvb is long overdue for a good show since the line walker. line walker 2 was such a joke compared to the first installment. I’m on episode 10. The series is actually worth watching. Not groundbreaking by any means but I’m really enjoying Philip and Kara’s presence. Finished episode 3, the storyline seems pretty interesting but nothing mind-blowing. The cast is strong so at least there’s the acting to look forwards to. sound promising will give this show a go! Haha…those 3 steps sound so déjà vu….oh wait, those are HKTV elements that they used to employ for the dozen or so series they had produced. It’s interesting that So Man Chung and Chu King Kei are now using all the methods they learned at HKTV to film their series (and of course not acknowledging where they learned them) – they were at TVB for decades and didn’t learn much, but then they go to HKTV for 2-3 years and learn more than they did their entire careers it seems. If this show succeeds, I am attributing it to 2 things: 1) the winning combination of Kara Hui + Philip Keung, and 2) HKTV. Let;s not get so far ahead yet. The series has time to screw up. It is using the boring flashback method and in the flashback there are flashbacks as well which really killed the momentum of some scenes and very confusing too. It is not a great series yet. As for the screen thing like cinema or whatever, didn’t feel it. Still feels like a FHD version but not cinematic.